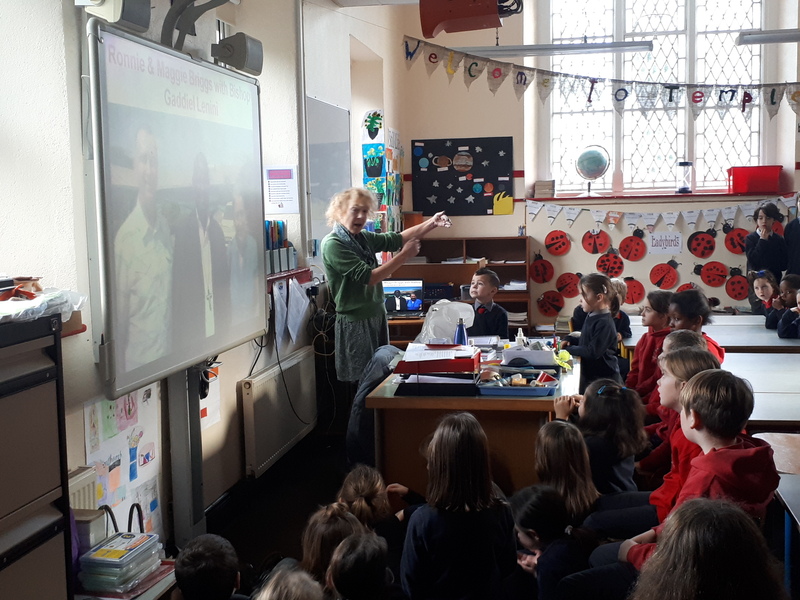 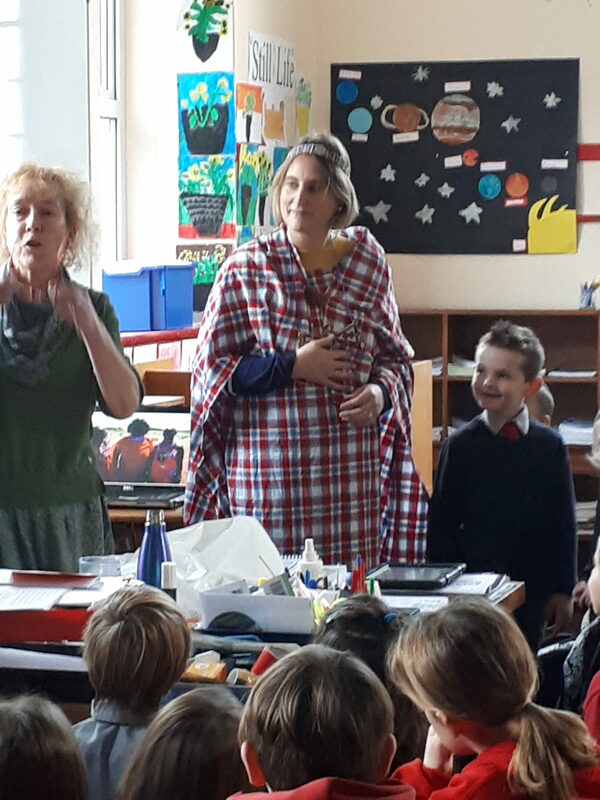 Today Mrs. Pam Wood came and gave a presentation to the children on the Oltiasika Water Tanks Project in the Diocese of Kajiado in Kenya. 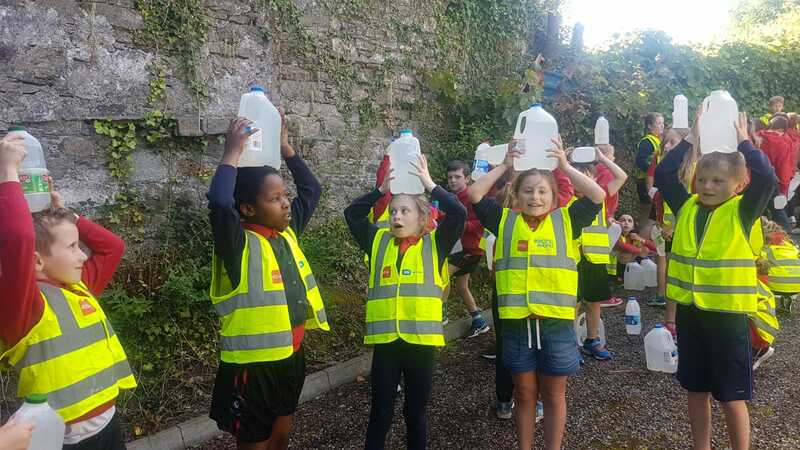 The money raised from our walk with water is being used in the refurbishment of these tanks to ensure clean water storage for the Maasai. 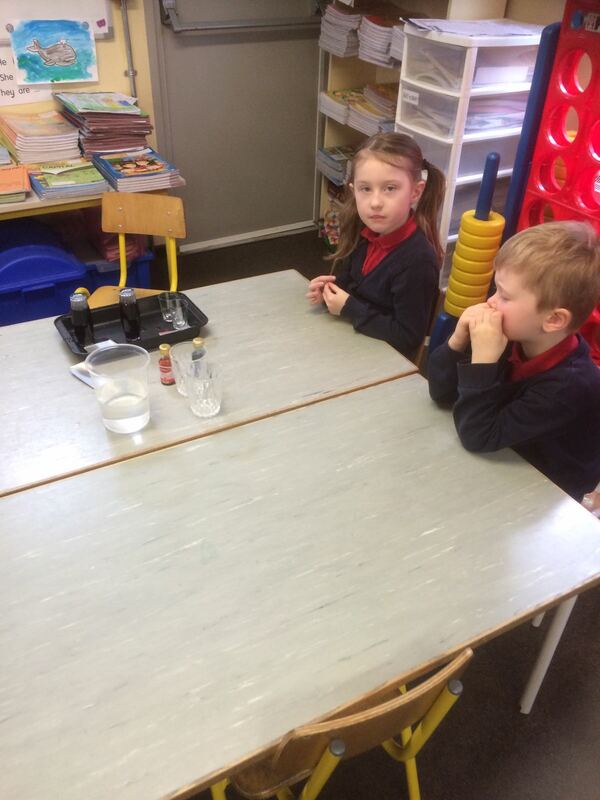 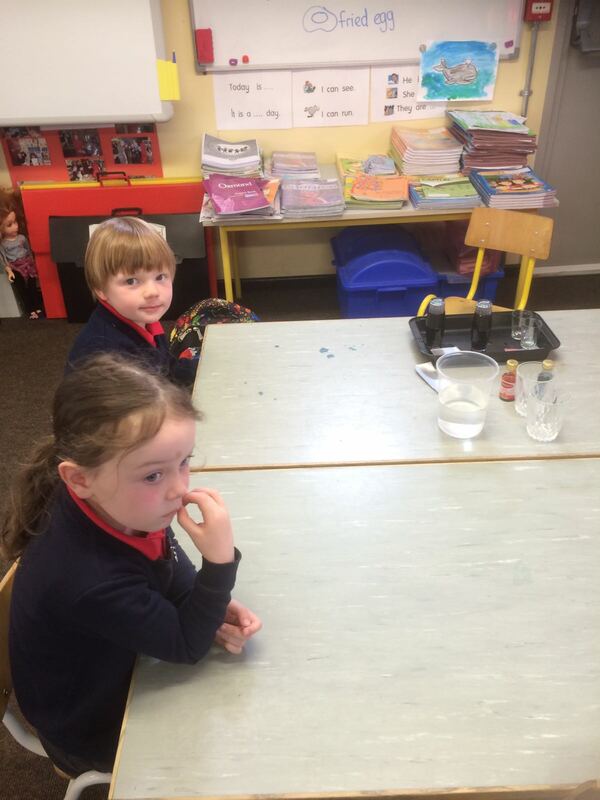 This week each classroom held a science experiment showcase for all the other classes based on the theme of water. 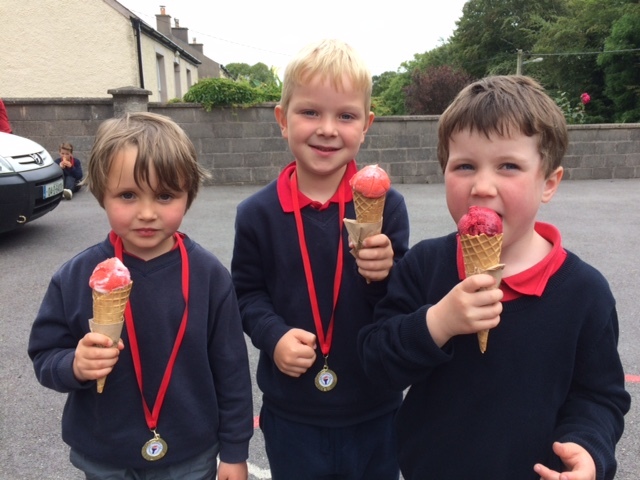 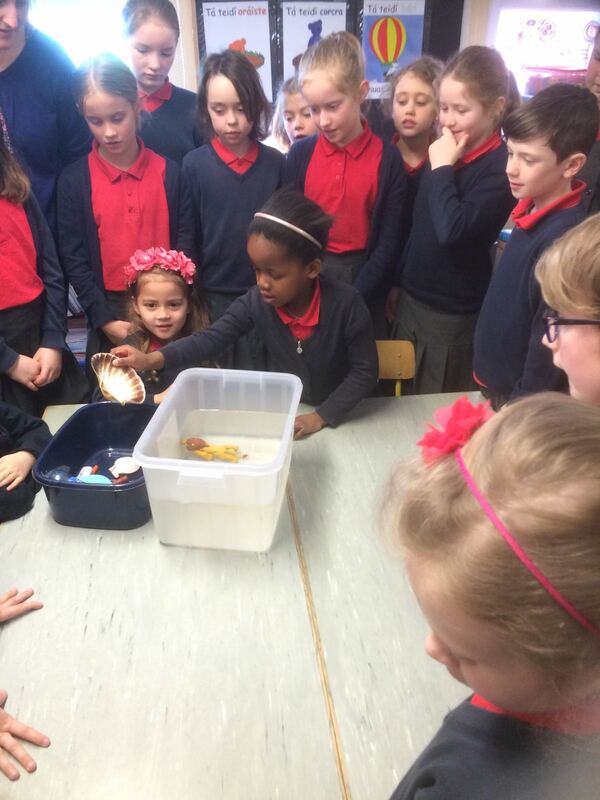 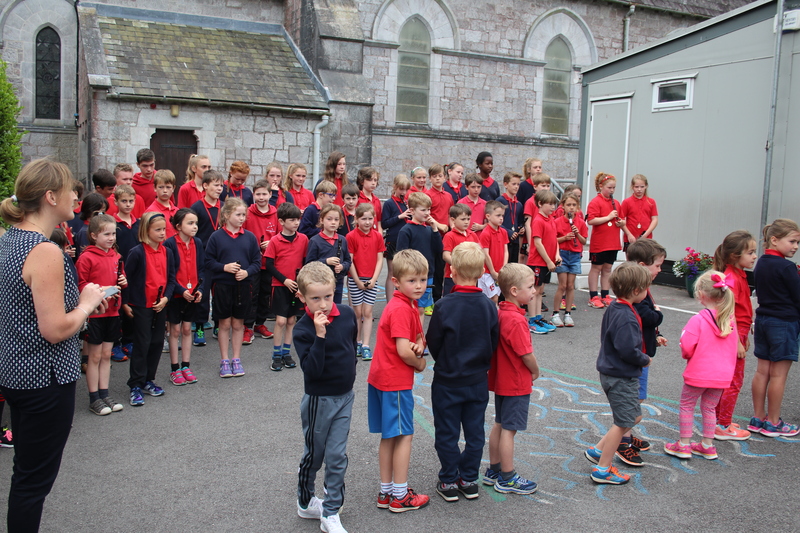 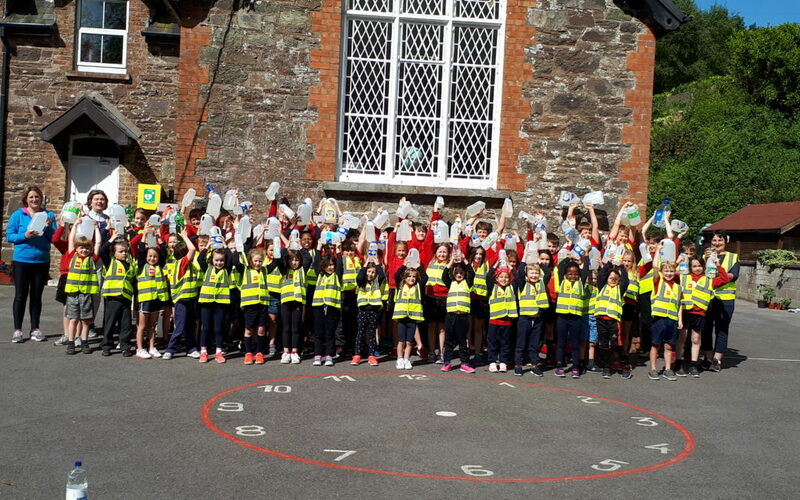 3rd Class did a presentation on water pollution and read out poems they had written on the theme saving our rivers. 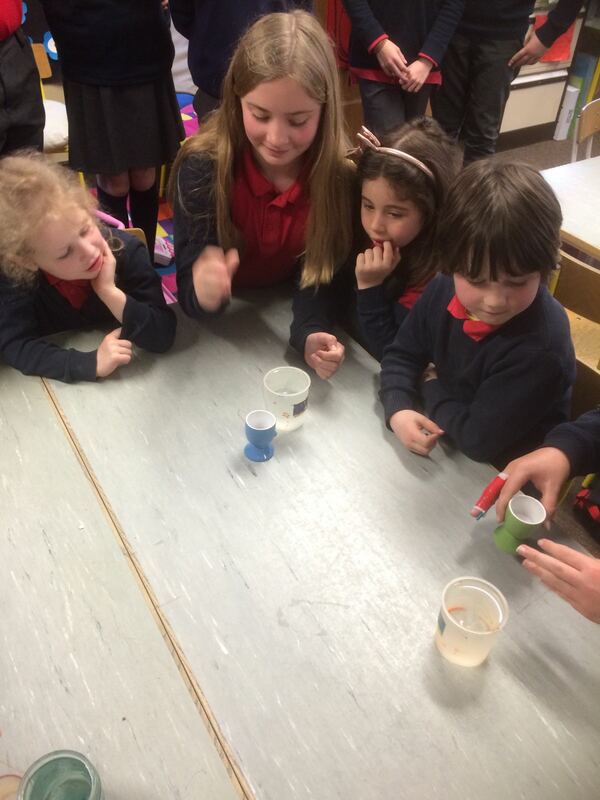 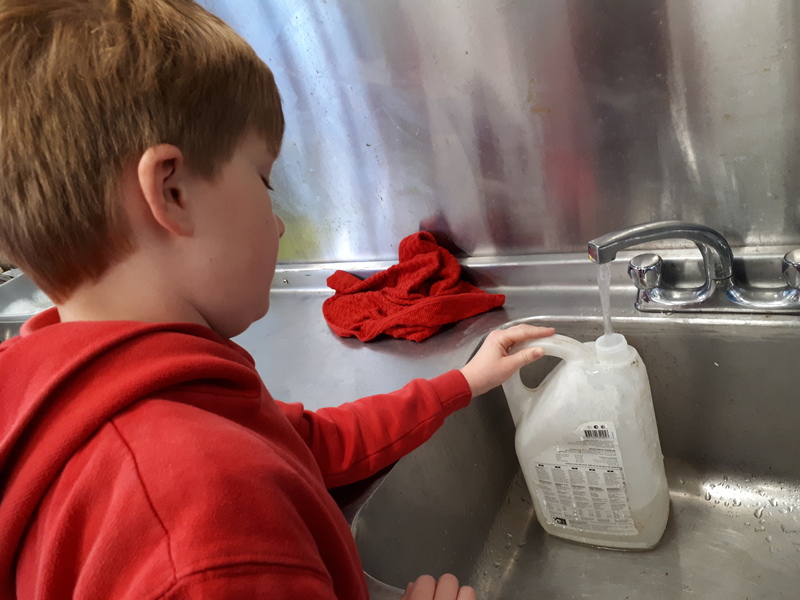 They demonstrated how water can be cleaned using a filtration system. 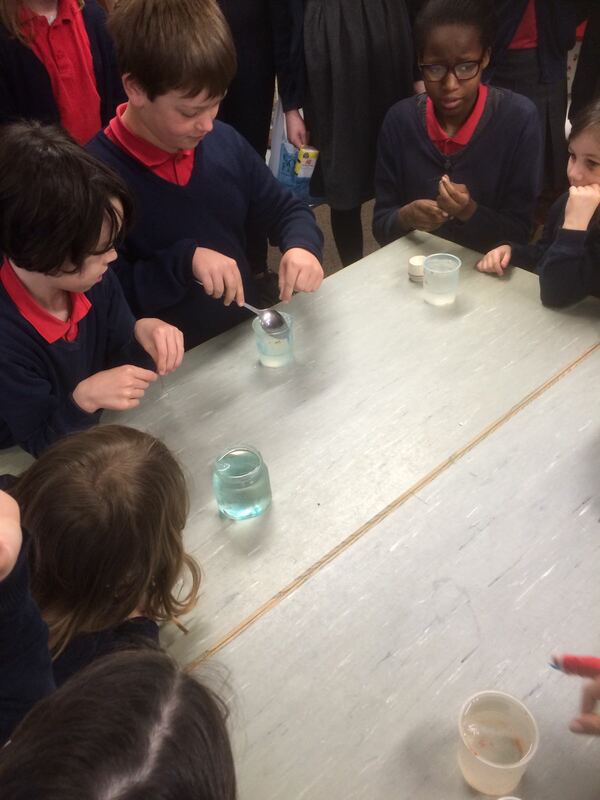 The finale in the middle classroom was the reaction of substances to create elephant’s toothpaste. 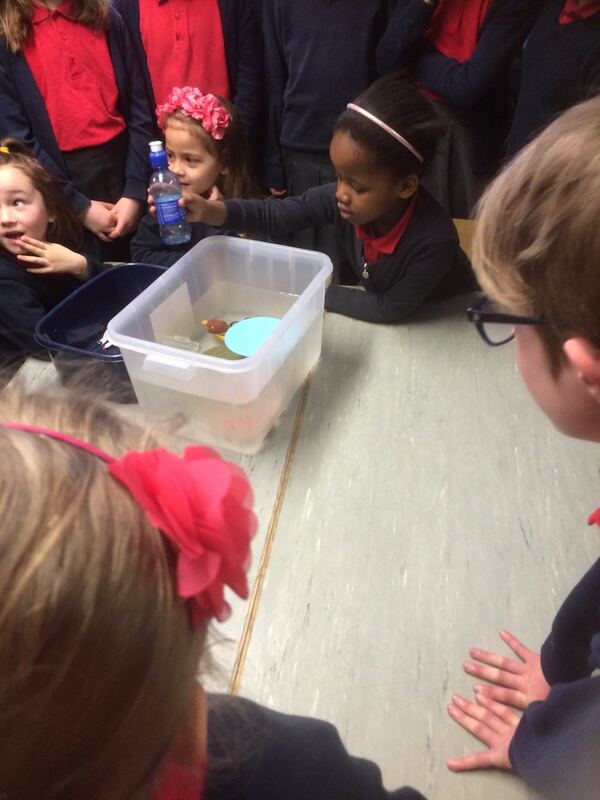 The senior classroom demonstrated the affects of water pollution on the environment and wildlife. 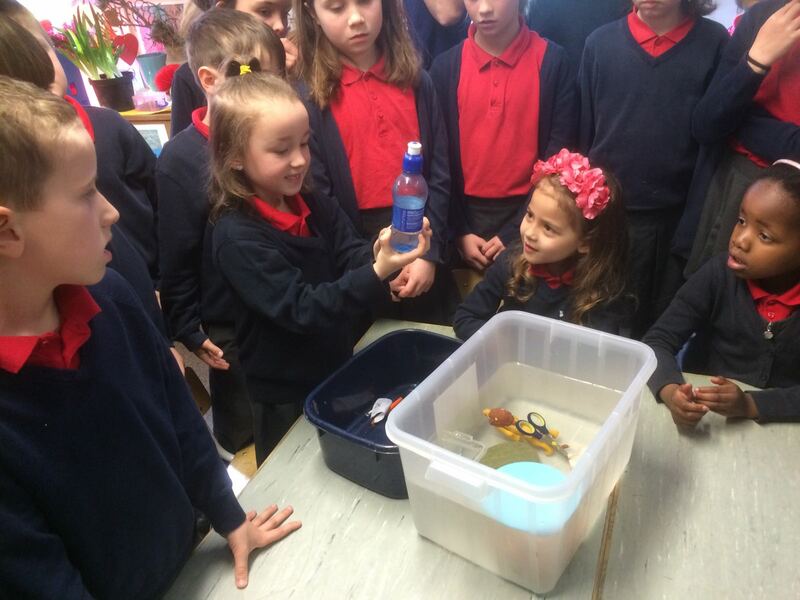 They demonstrated an oil spill and it’s clean up. 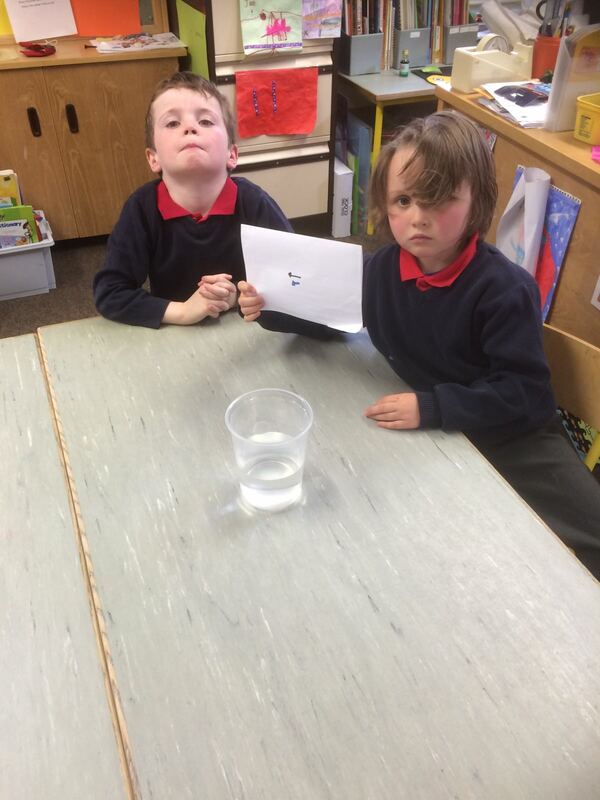 They proved that water may be polluted even though it does not look polluted. 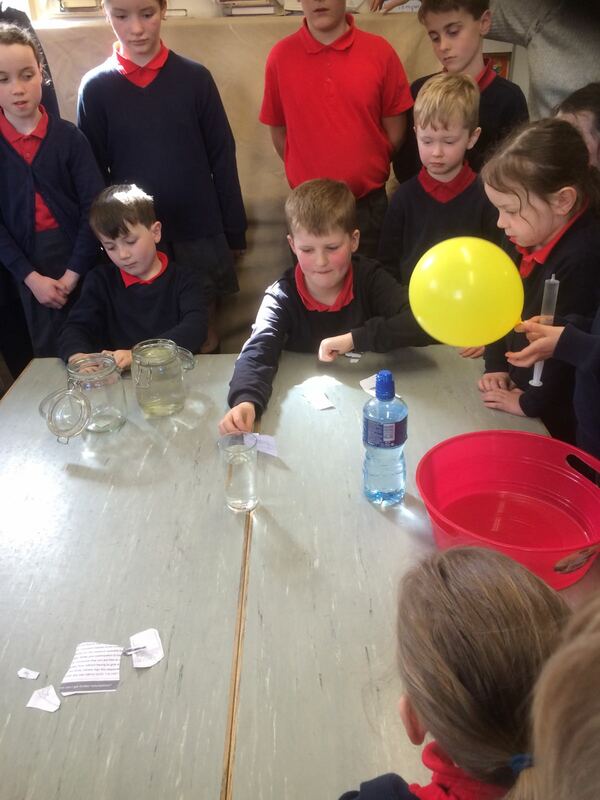 They made a tornado in a bottle, demonstrated refraction and chromatography. 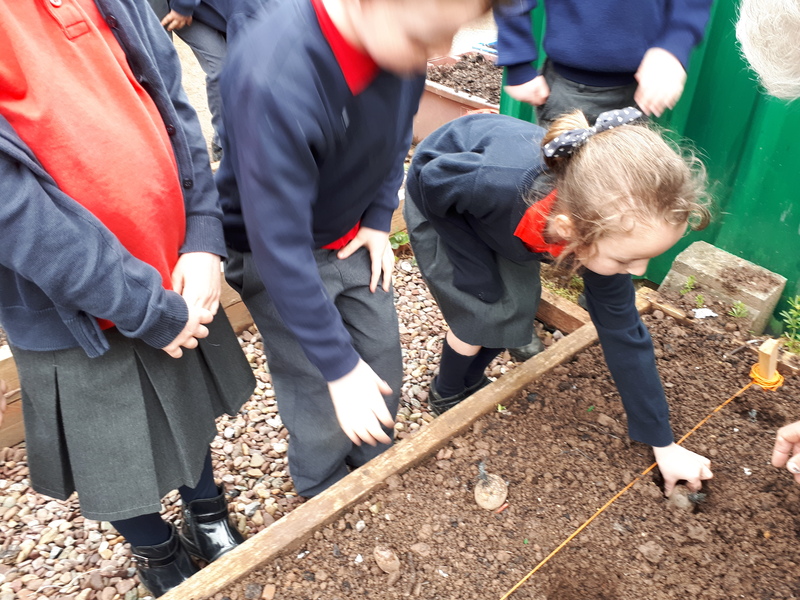 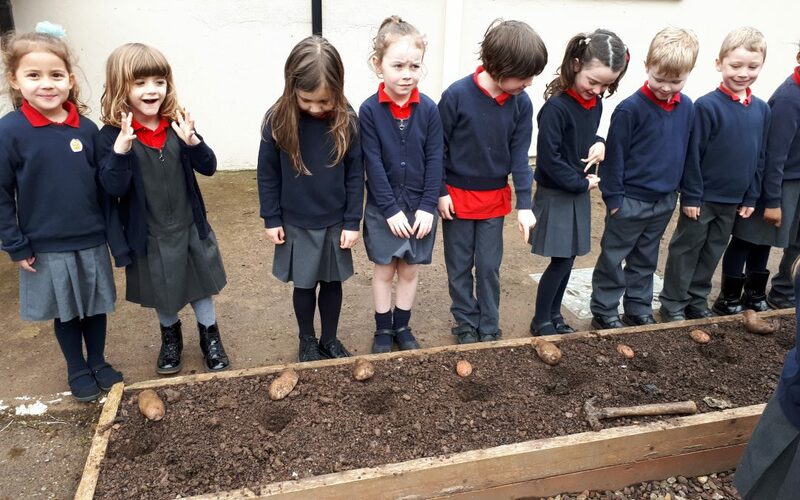 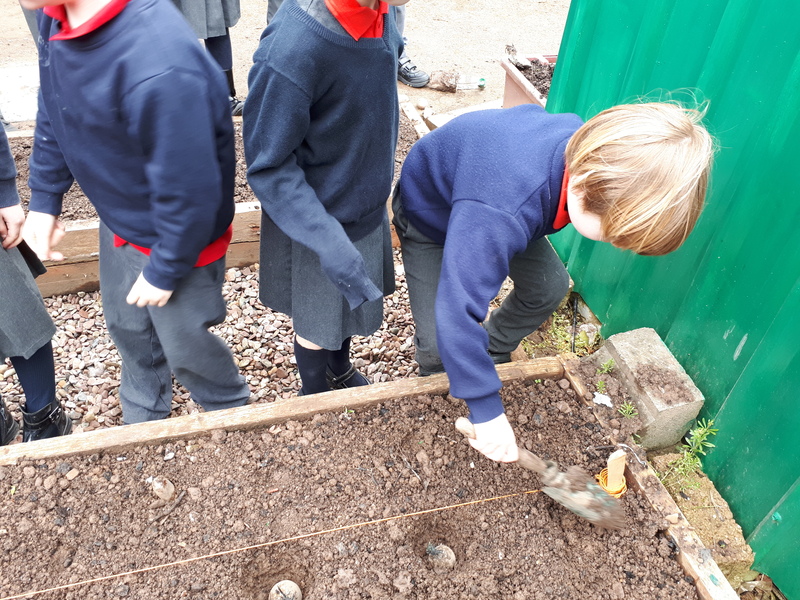 Today every child planted either a potato or an onion in the school garden. 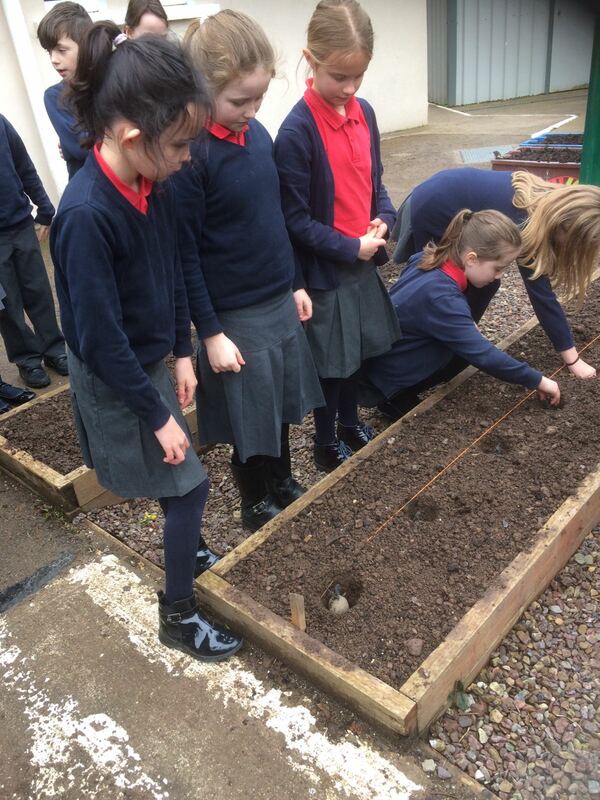 These will be harvested when the children return in September. 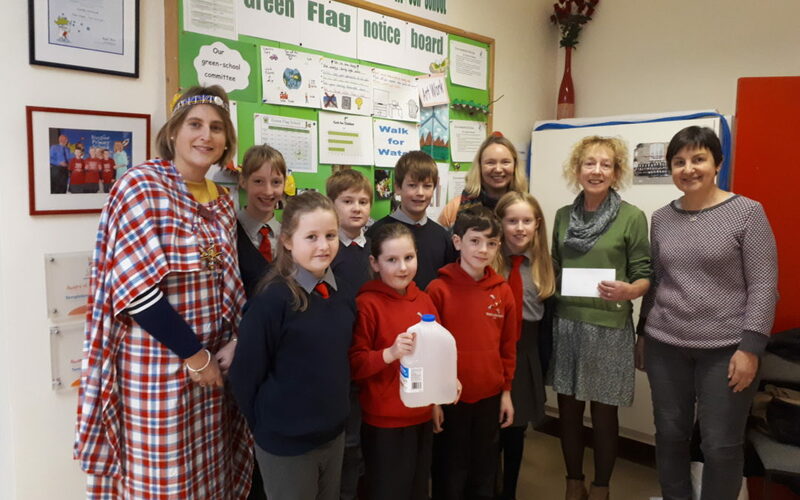 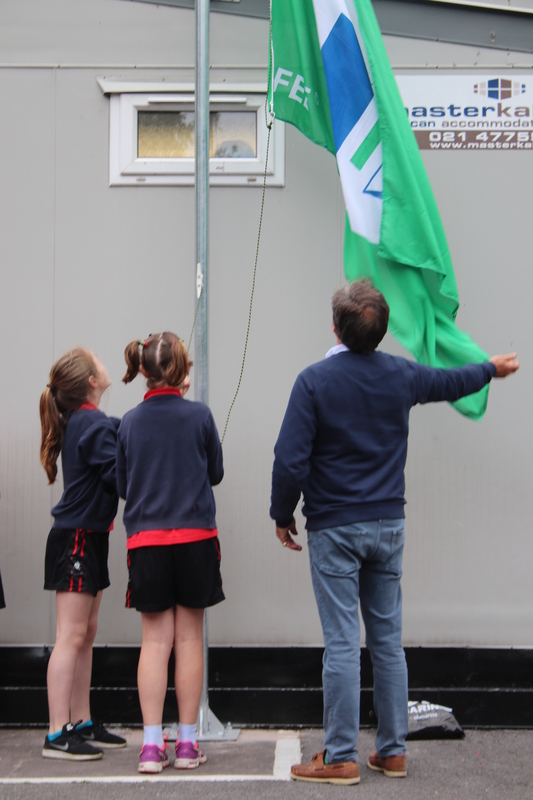 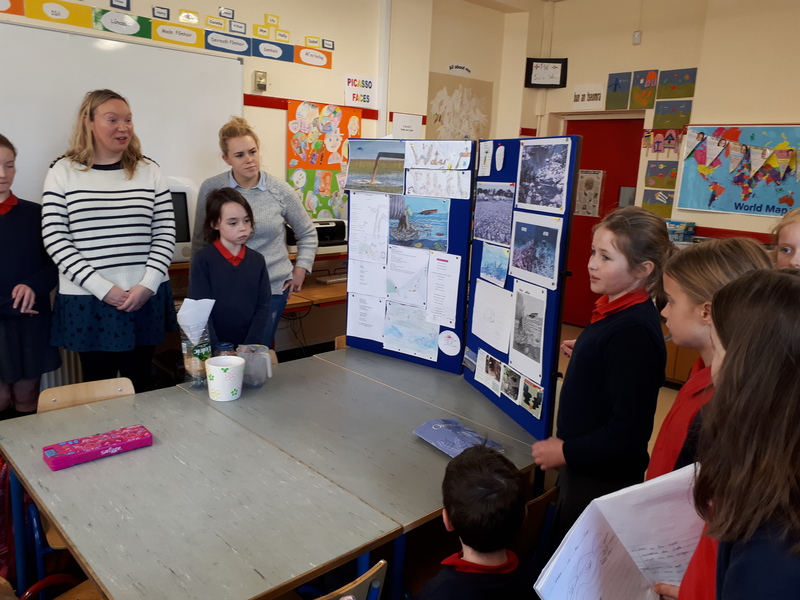 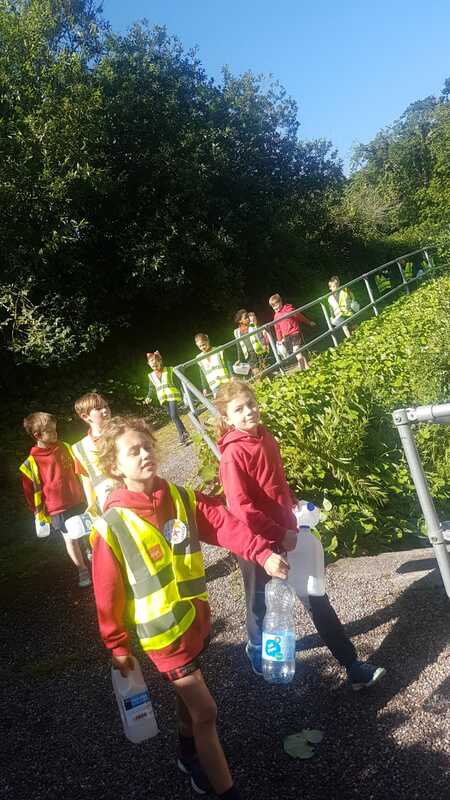 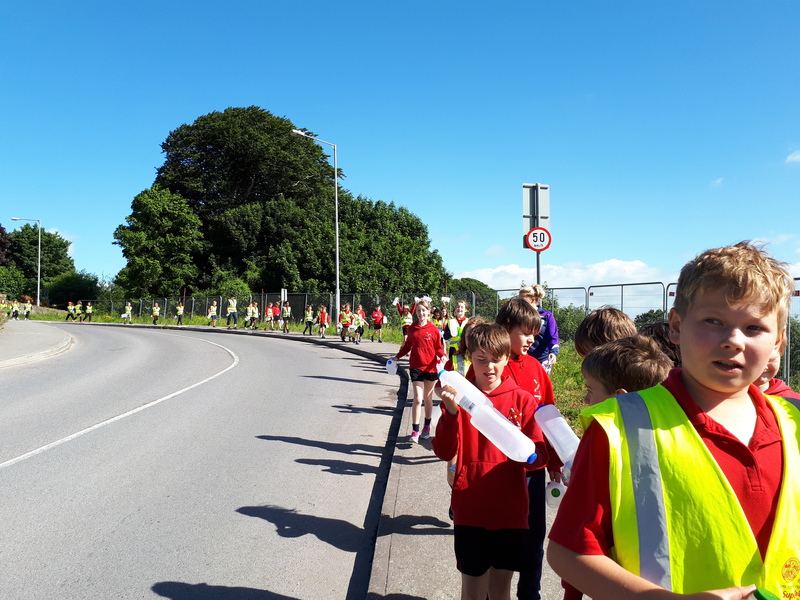 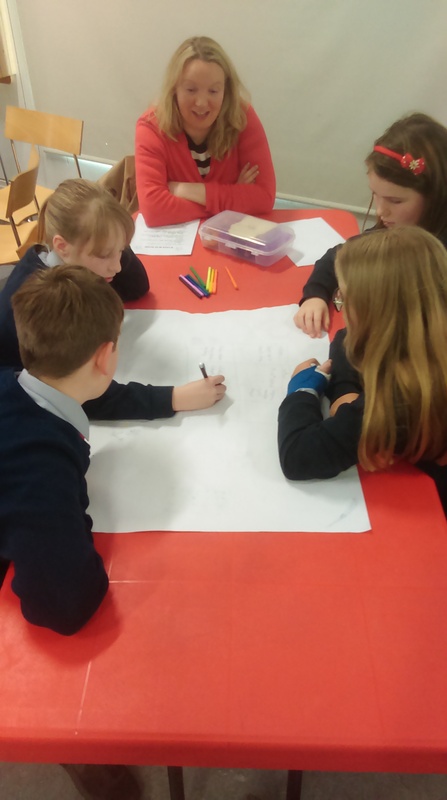 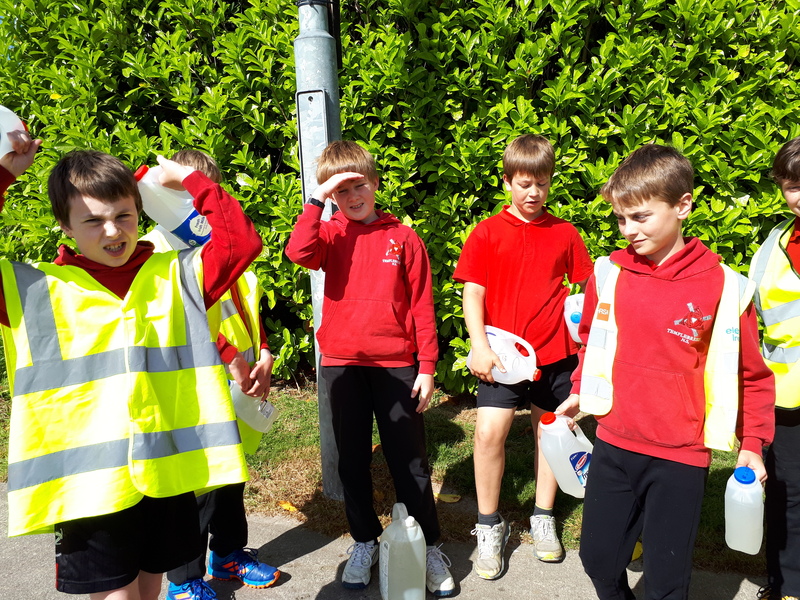 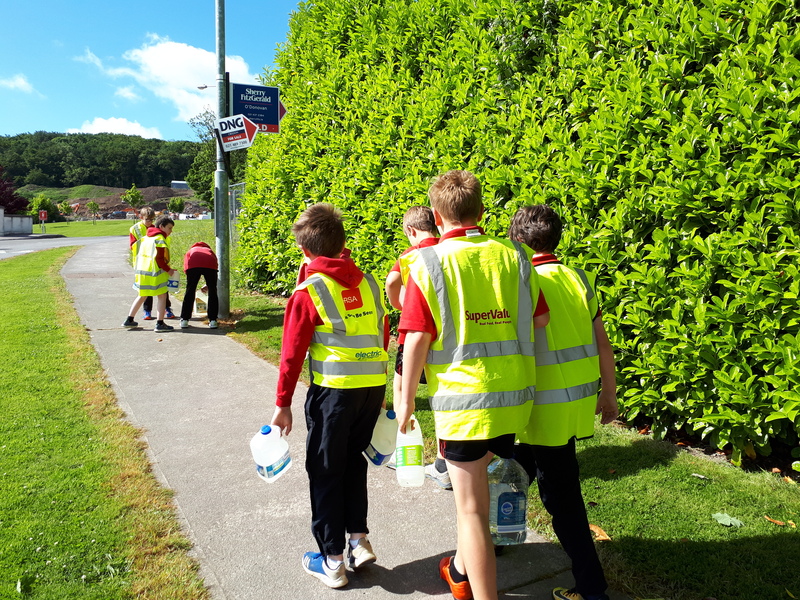 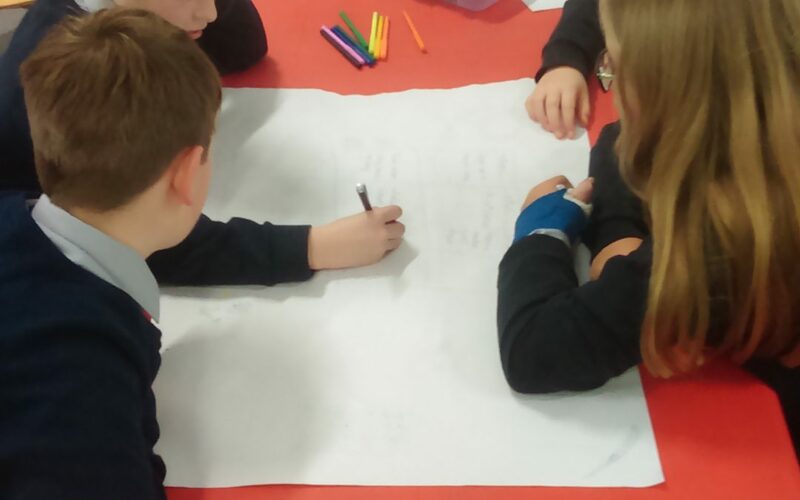 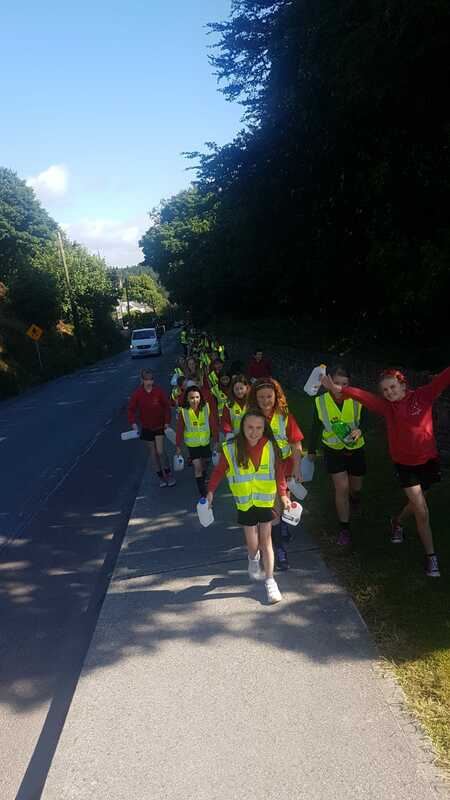 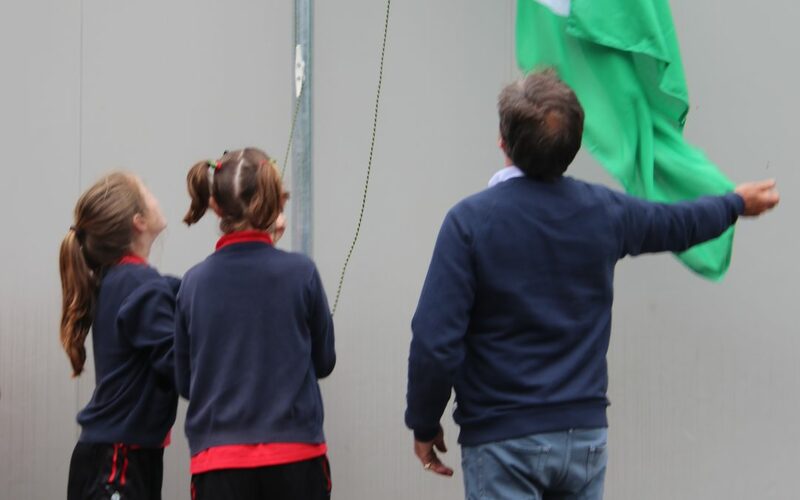 green-schools-primary-water-forum-2017-18-1 Templebreedy were fortunate enough to be allocated a place on this years Green Schools Water Forum in Cork. 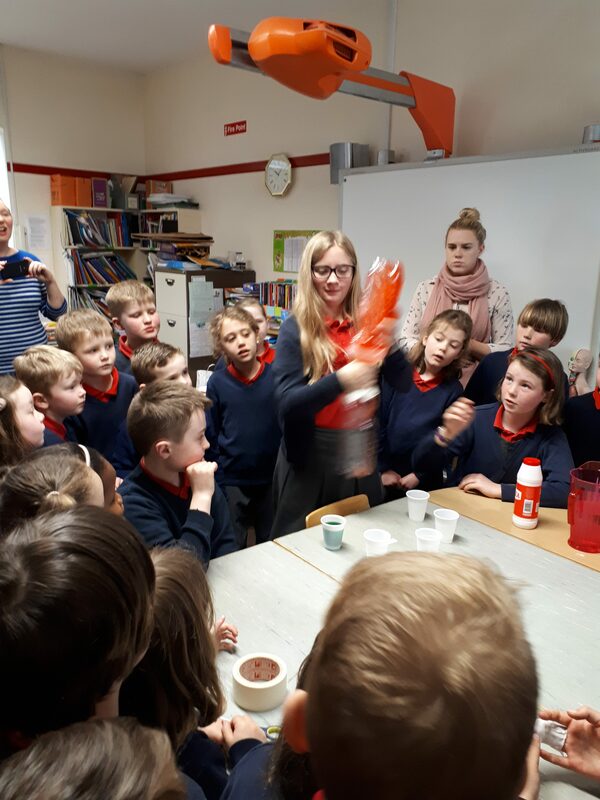 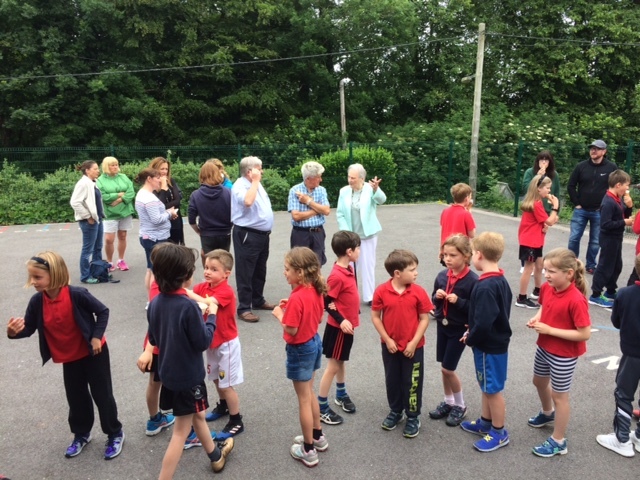 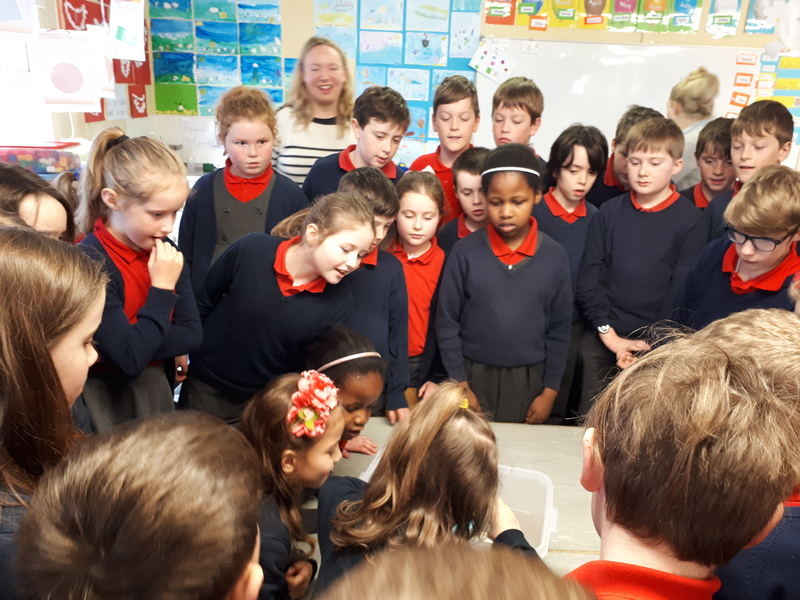 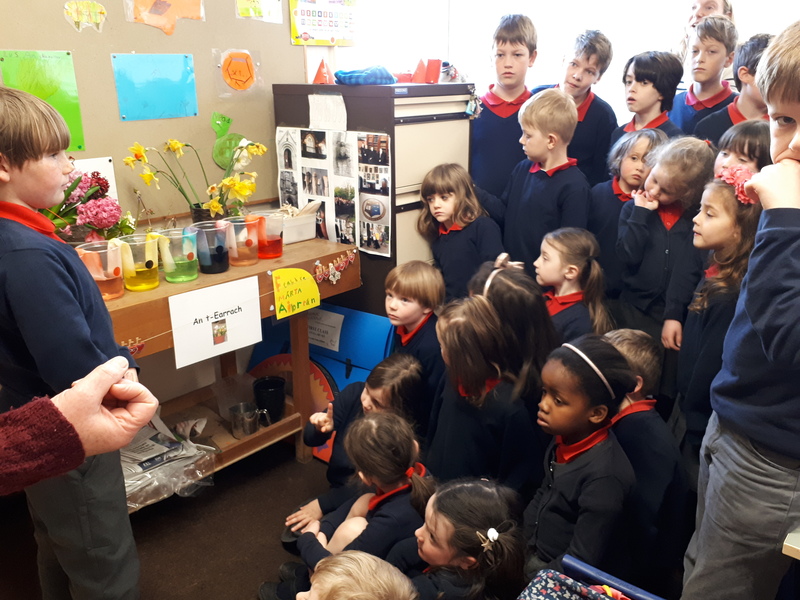 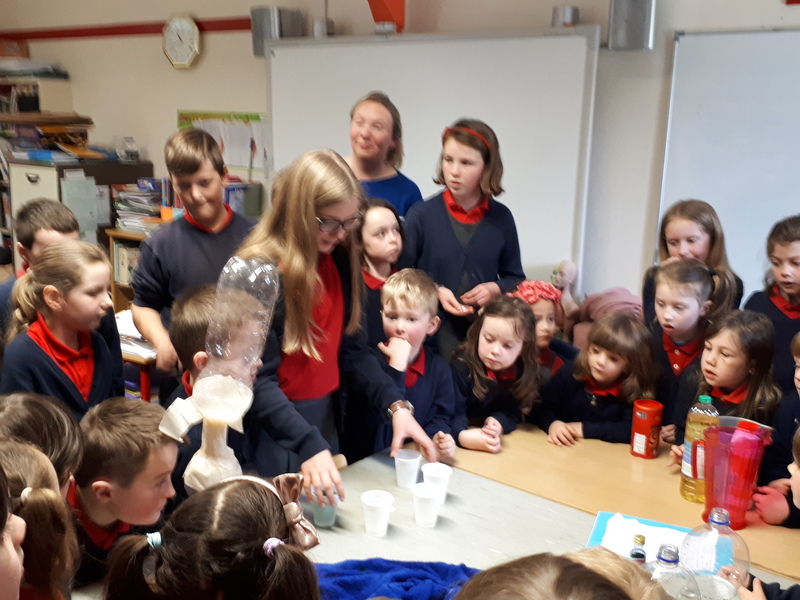 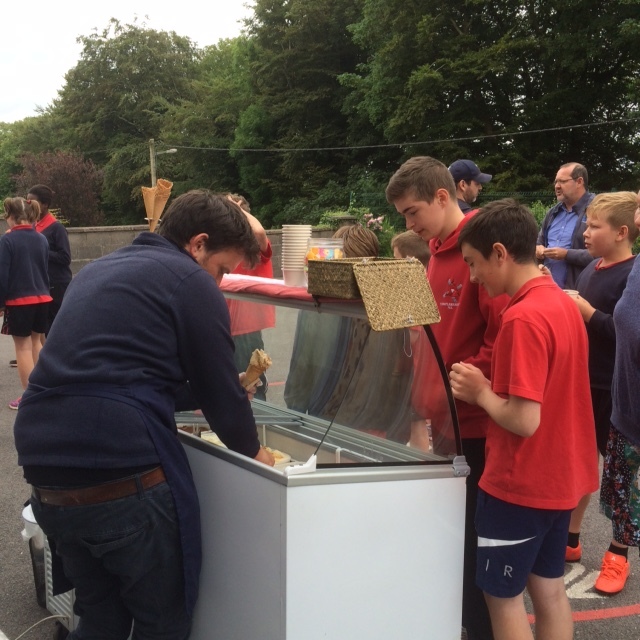 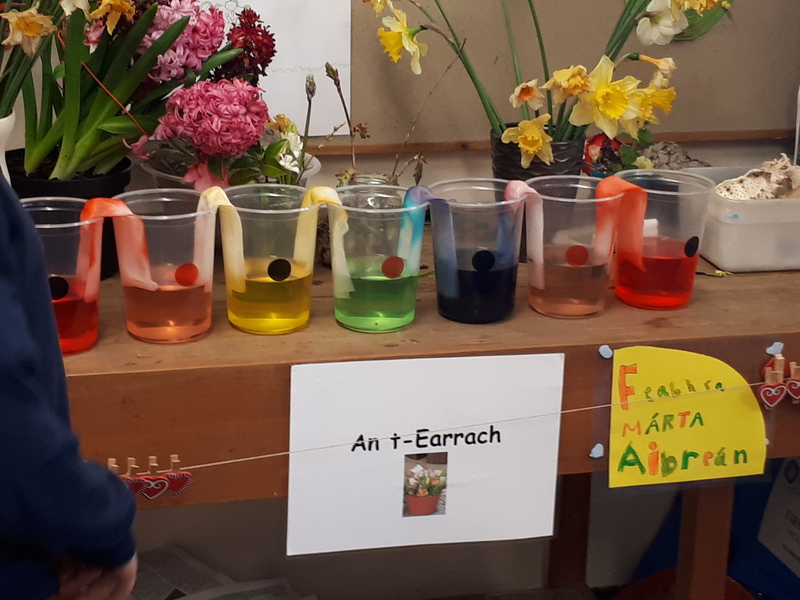 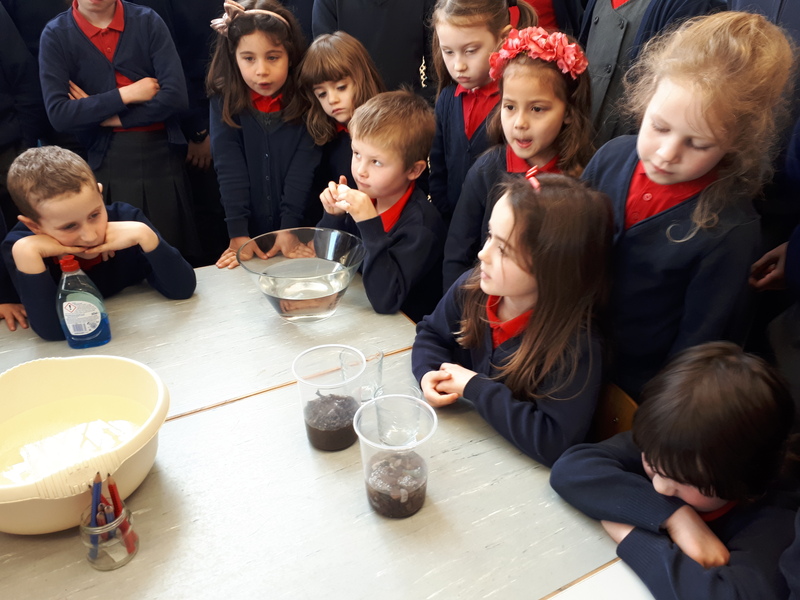 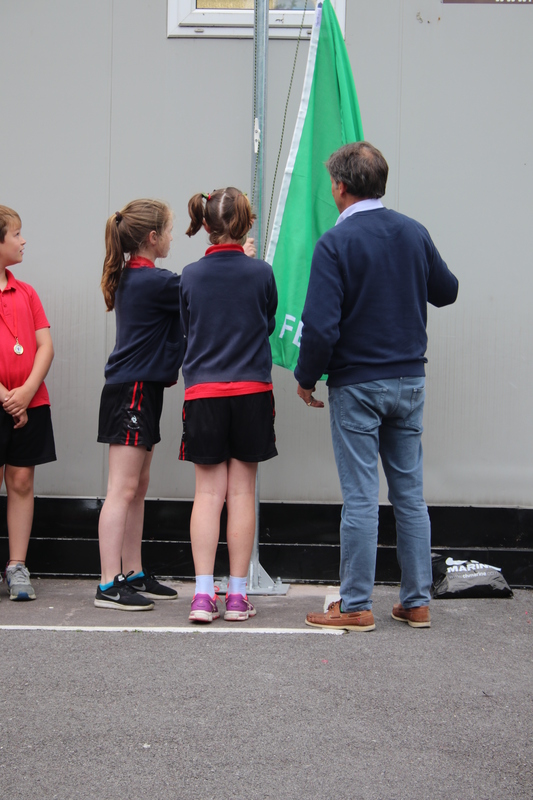 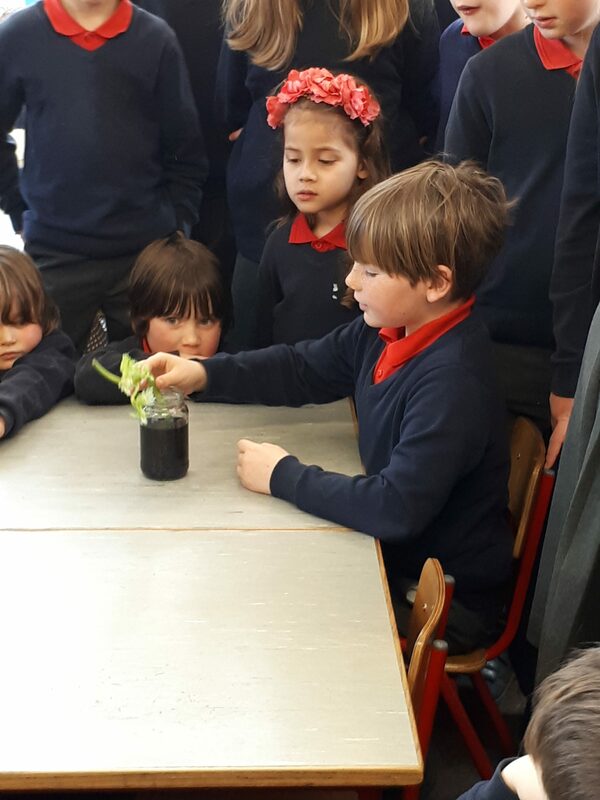 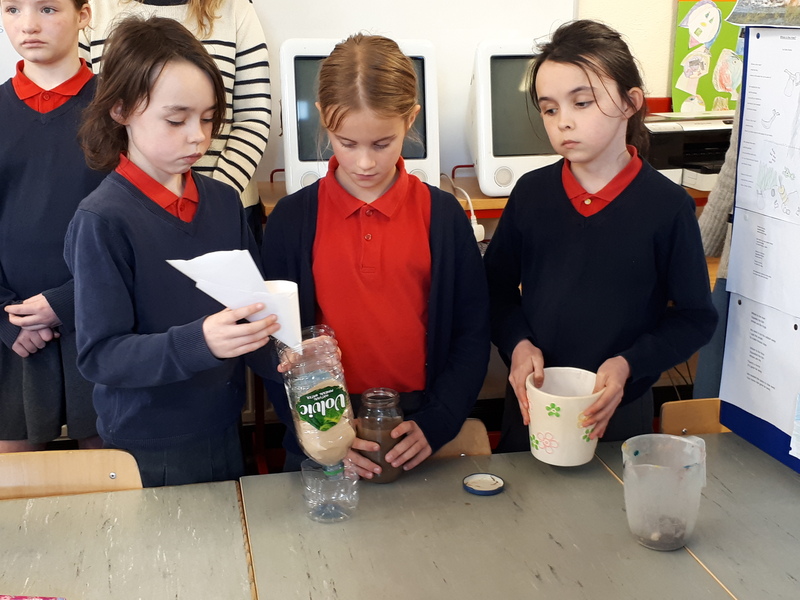 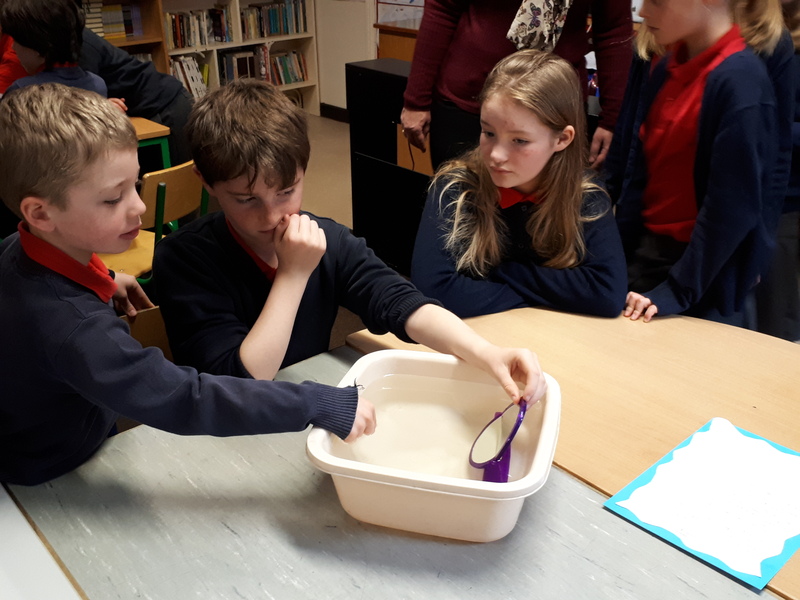 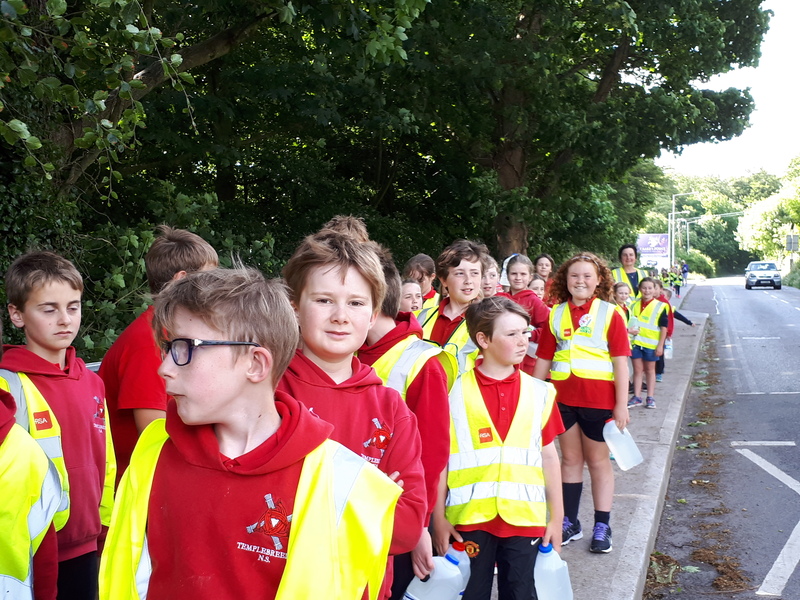 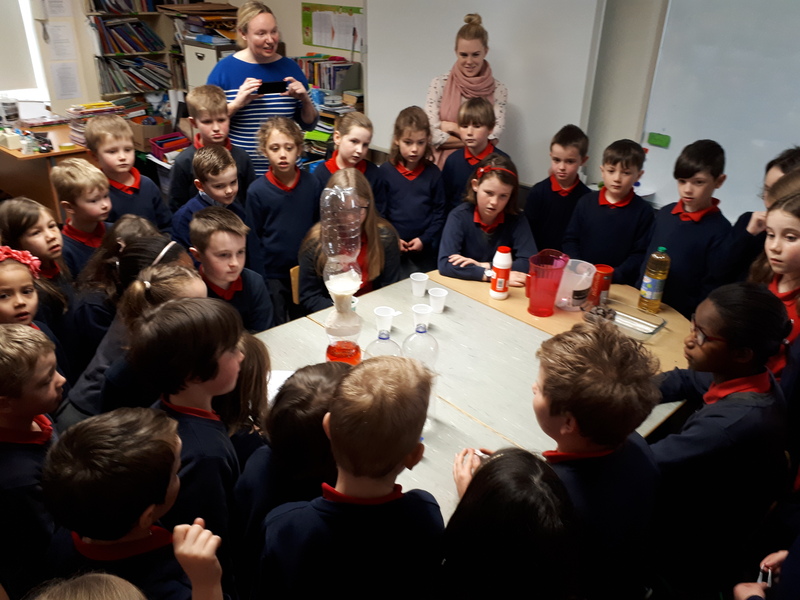 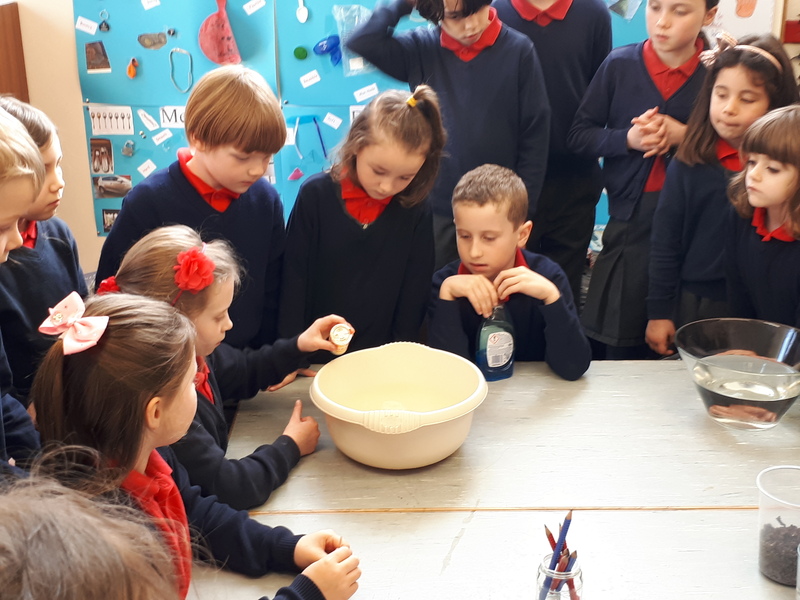 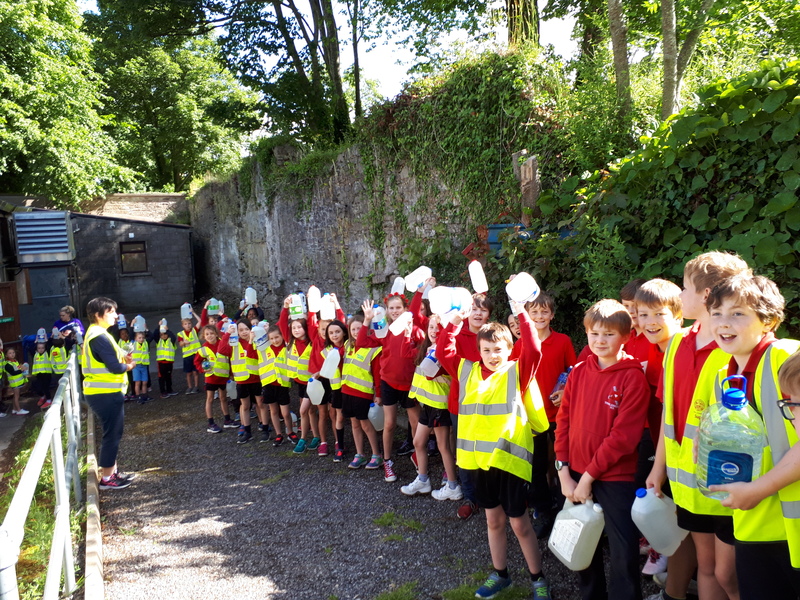 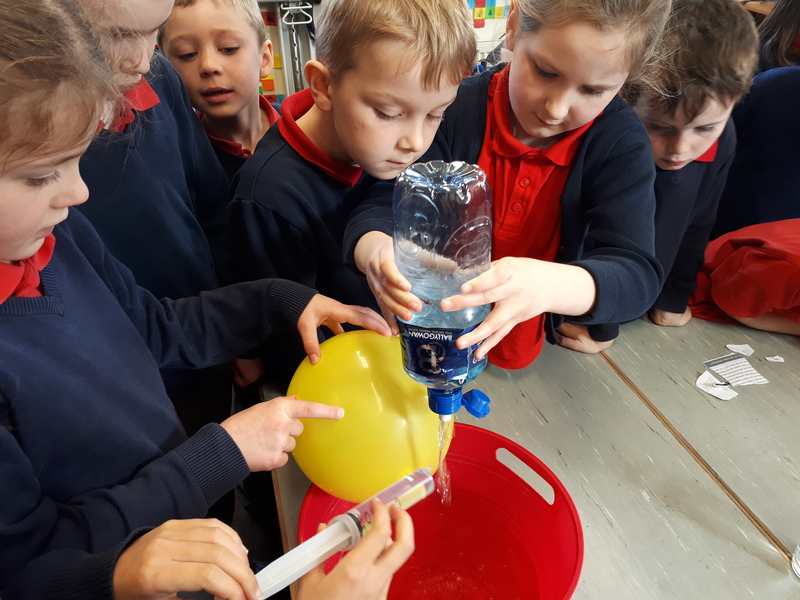 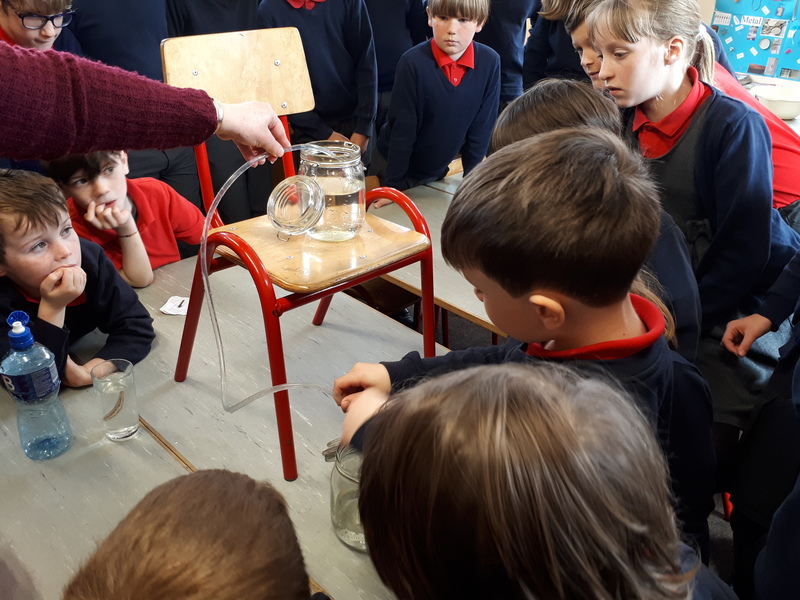 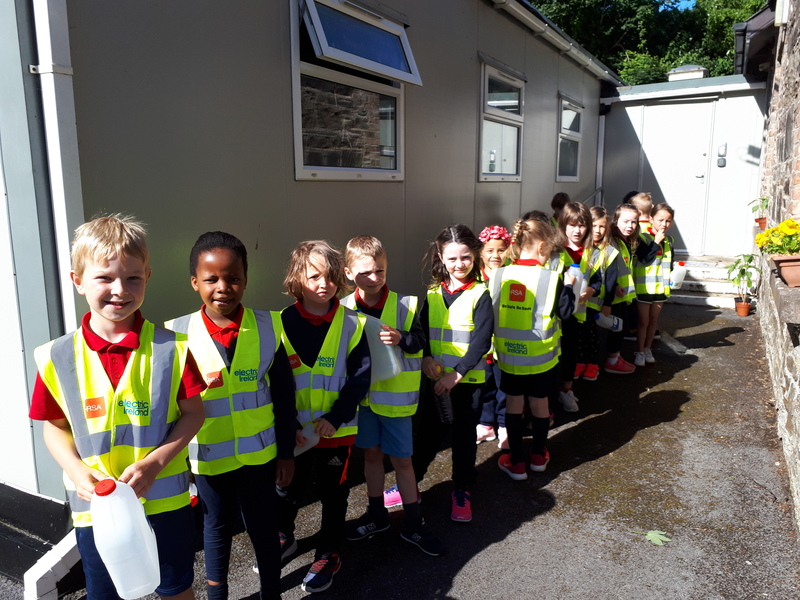 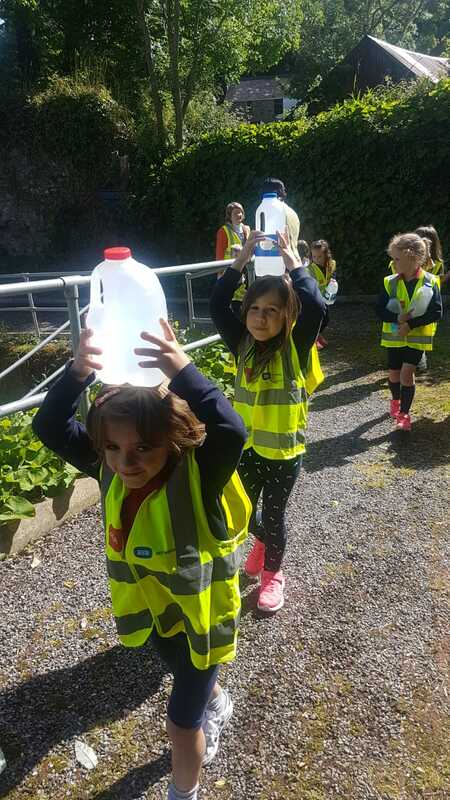 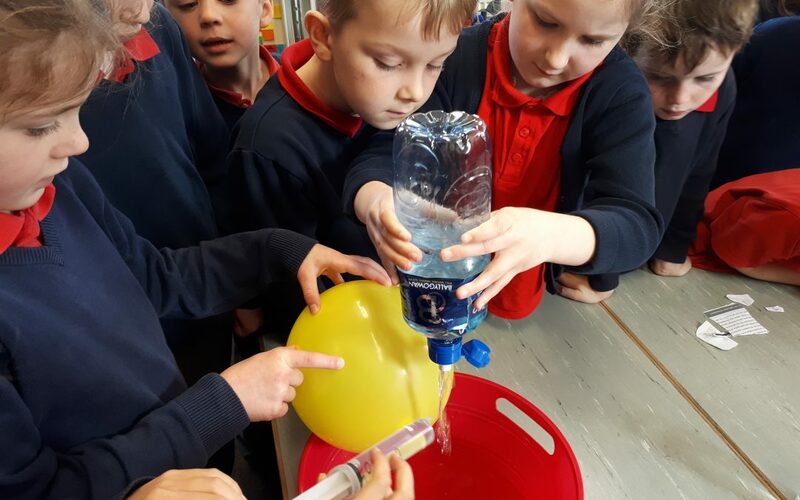 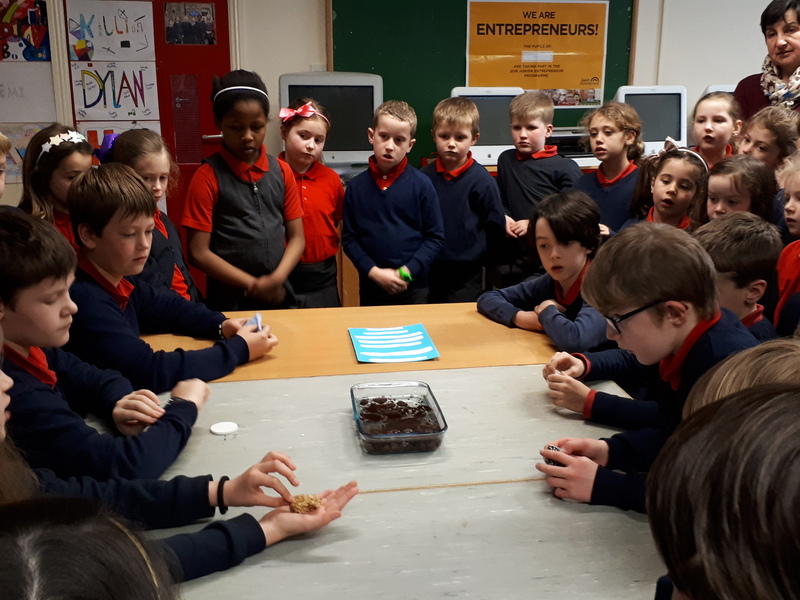 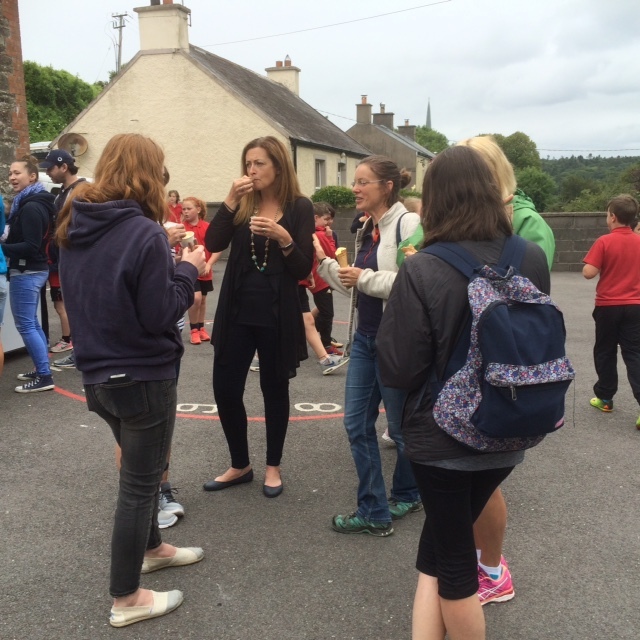 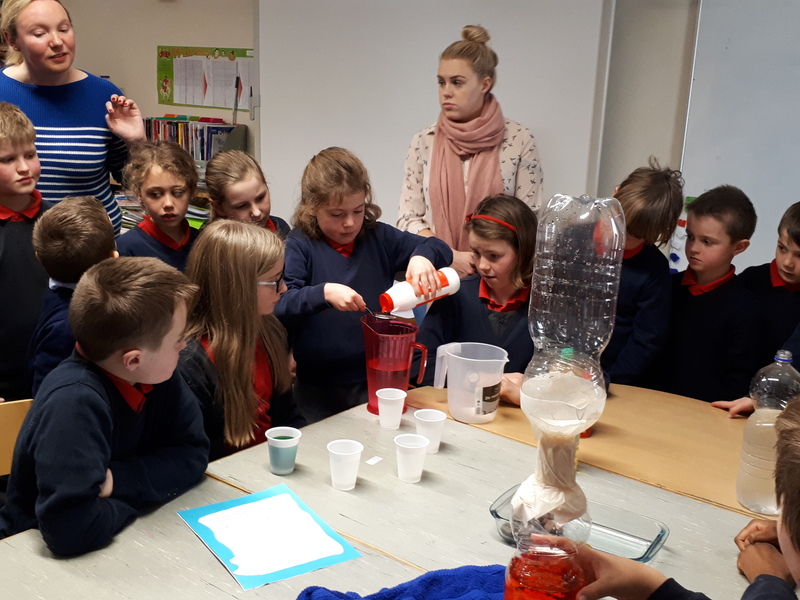 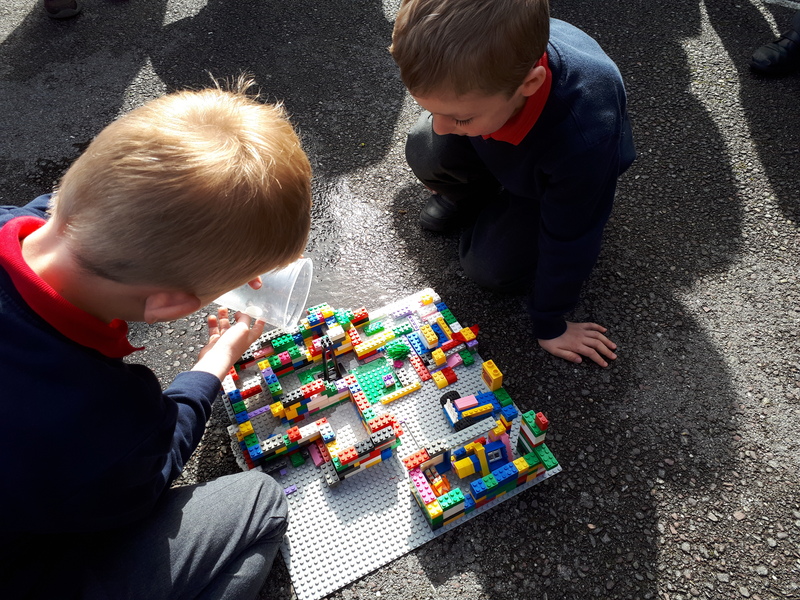 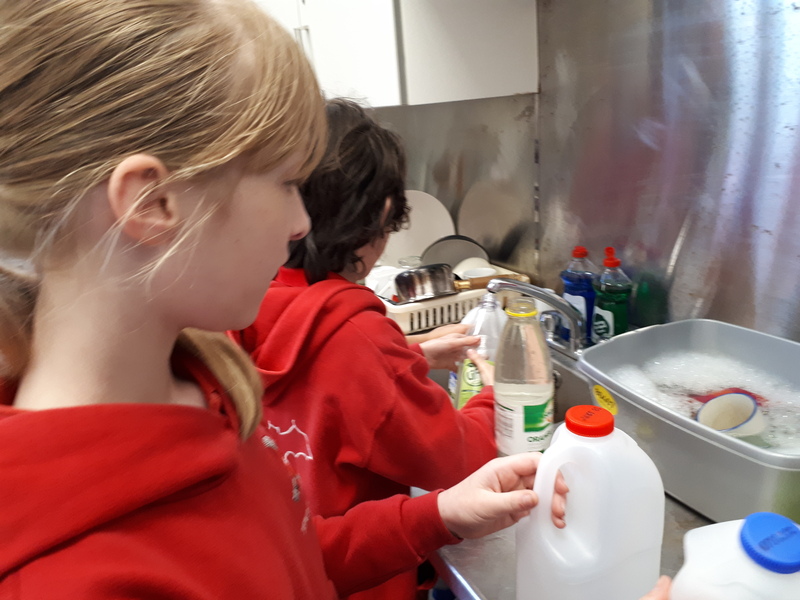 There were many activities included in the day including a presentation by Irish Water and many experiments exploring the water theme.